There is a static private method Lookup.resetDefaultLookup that is called by NbJUnit's MockServices to properly reset default lookup and fire changes to all registred listeners. singleton subclasses of SharedClassObject are searched for using Lookup. Nearly all resource looking functions and reflective code uses ClassLoader obtained from Lookup.getDefault() for loading system wide resources. Described in the overall answer. This module defines the Lookup which is the NetBeans way for dynamic registration and lookup of components in our modularized component system. It allows lookup and discovery of features by description of their interfaces. The classes are devided into two parts. The LookupAPI - allows the discovery and the LookupSPI - simplifies creation and registration of own lookup objects. How to specify that a service in Lookup should be available only on Windows? Q: Most of the time I specify interfaces that I want to add to the Lookup class in the layer.xml file. But, let's say I have a platform-specific interface (something on Windows only, for instance). In general there are three ways to achieve this. It is possible to write a specific module and enable it only on windows. See os specific modules documentation. Then you can put a registration of your instance into your module's META-INF/services directory and it will be available only on Windows. Another possibility that does not require new module, but which executes a code on startup (which may have performance implications) is to use methodvalue attribute. Register your instance in layer using your-Object.instance file as described at services documentation and in your factory method either return the instance your want or null depending on result of Utilities.isWindows() call. In some cases, the interface for which you will register an implementation permits a no-operation semantics. For example, InstalledFileLocator.locate(...) can return a valid File, or null. You could always register an InstalledFileLocator instance yet disable it on non-Windows platforms (always returning null). How shall I write an extension point for my module? Q: I have more modules one of them providing the core functionality and few more that wish to extend it. What is the right way to do it? 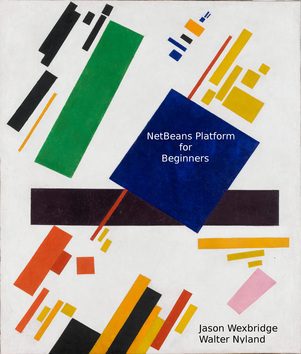 How does the Netbeans platform declare such extension point? And in its manifest adds line OpenIDE-Module-Public-Packages: org.my.netbeans.coremodule. * to specify that this package contains exported API and shall be accessible to other modules. and your modules are now ready to communicate using your own extension point. The module has been around since 1997 and is continously being improved from time to time. There is a lot of unit tests in version control system. WARNING: Question with id="dep-non-nb" has not been answered! Currently JRE 1.5 is needed. FileLocation - the JAR file is located in platform cluster under lib/org-openide-util-lookup.jar . WARNING: Question with id="deploy-nbm" has not been answered! Module is on real java classpath and as such it has to be in the shared directory. WARNING: Question with id="deploy-packages" has not been answered! WARNING: Question with id="compat-i18n" has not been answered! The default lookup registration follows the JDK's ProviderRegistrationMechanism but enhances it to also support the ProviderRegistrationRemoval. This module has no settings. LookupInitializationLookup - during initialization of the Lookup.getDefault() the Lookup.Provider is being searched. LookupSharedClassObject - singleton subclasses of SharedClassObject are searched for using Lookup. .
LookupClassLoader - Nearly all resource looking functions and reflective code uses ClassLoader obtained from Lookup.getDefault() for loading system wide resources. .
org.openide.util.Lookup - checked by the initialization of the Lookup.getDefault() and can contain name of a class that extends org.openide.util.Lookup and has public constructor, that should be instantiated and returned from Lookup.getDefault() the class will be loaded by Thread.currentThread().getContextClassLoader() classloader the first time Lookup.getDefault is invoked. WARNING: Question with id="exec-component" has not been answered! No, we do not create own classloader. Lookups.metaInfServices - calls constructor of registered classes using reflection . Lookup.resetDefaultLookup - There is a static private method Lookup.resetDefaultLookup that is called by NbJUnit's MockServices to properly reset default lookup and fire changes to all registred listeners. .
Everything is synchronous, except pluggable use of java.util.concurrent.Executor that allows to make calls asynchronous. The default implementation only delivers changes from metaInfServices lookup in asynchronous thread. The same as for clipboard. The default implementation of the MetaInfServicesLookup just keeps hashmap between queried classes and their implementations. The amount of memory is linear to amount of registered classes, but of course we are not counting the memory occupied by the instances which the lookup creates, that can be arbitrary. There are no big data structures. The amount of memory occupied by instances of AbstractLookup is measured by unit tests.